High Blood Pressure, is also known as Hypertension, can be dangerous. If identified and controlled, many of the long term complications, such as damage to the arteries, heart, brain, kidneys, can be avoided. The North Kansas City Fire Department provides free blood pressure checks as a service to our community. We currently provide checks at "Friday in the Park" events every Friday from Memorial Day to Labor Day. We will also provide free checks at your event. And of course, the fire station is always here to check your blood pressure. To schedule Free Blood Pressure Checks for your event, contact us at 816-274-6025. North Kansas City Fire Department provides free fire extinguisher training to businesses and individuals with our state of the art Bullex Training system. This training is easy to learn and is designed to meet your needs for your business’s Safety program. The training includes classroom and hands-on training. Click this link https://youtu.be/d750tSx6c7A to get a preview of the class and instruction. To schedule training, please call the Fire Marshal at 816-274-6025. 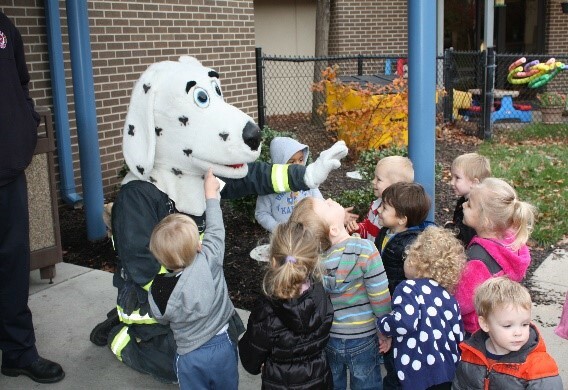 Sparky the Fire Dog is always a hit with the young children and is available to attend your event. He may be scheduled as an attendee to your event, along with a fire truck or we can schedule a Fire Safety program and a visit from Sparky at the same time. 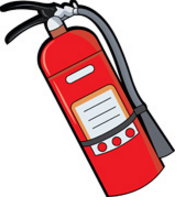 Fire Safety programs are geared towards children in the fourth grade or below. Typically we will provide coloring books, souvenirs and other publications for the children to take home and discuss with their parents. We will also provide a Fire Truck for the children to look at and explore. To schedule a Fire Safety Program or a visit from Sparky, contact the Fire Marshal at 816-274-6025. 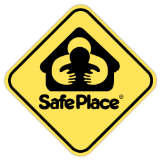 The North Kansas City Fire Department supports the “Safe Place” initiative. All fire stations are dedicated locations for children who are in need of assistance. On the front of each of our fire stations is the large yellow sign with the silhouette of an adult with their arms wrapped around a child. The North Kansas City Fire Department supports the File of Life project sponsored by Clay County Senior Services. Please contact the Fire Department 816-274-6025 to get your cards or if you need more information.